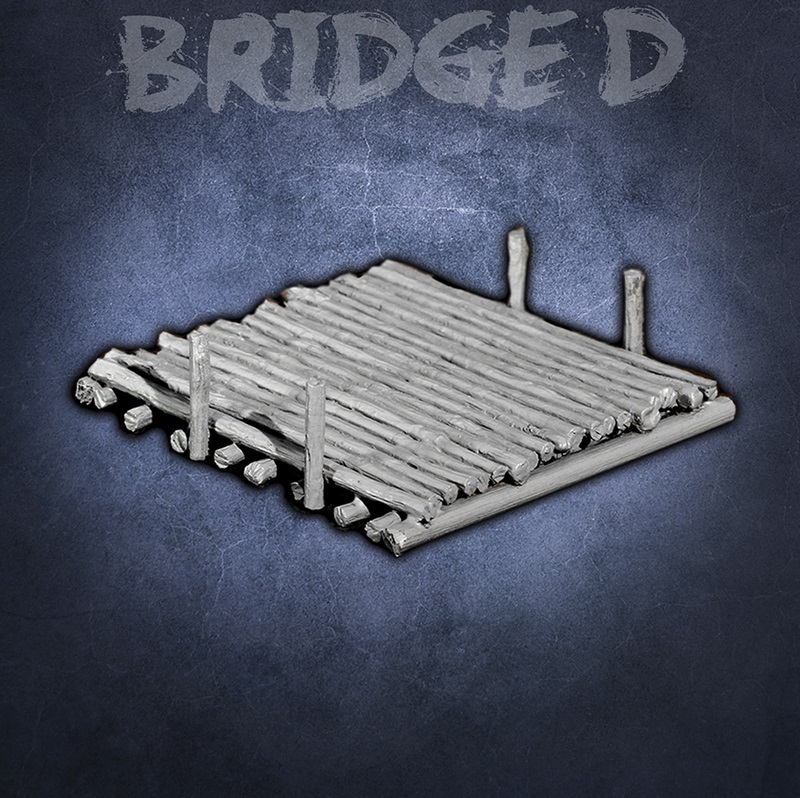 Bridges are used to travel between different map tiles inside the game. 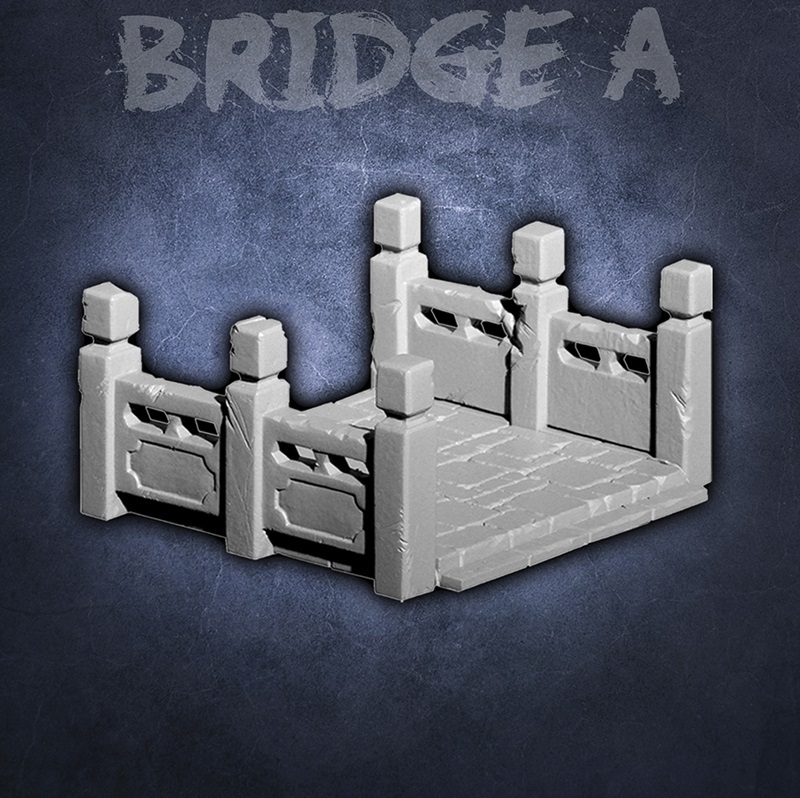 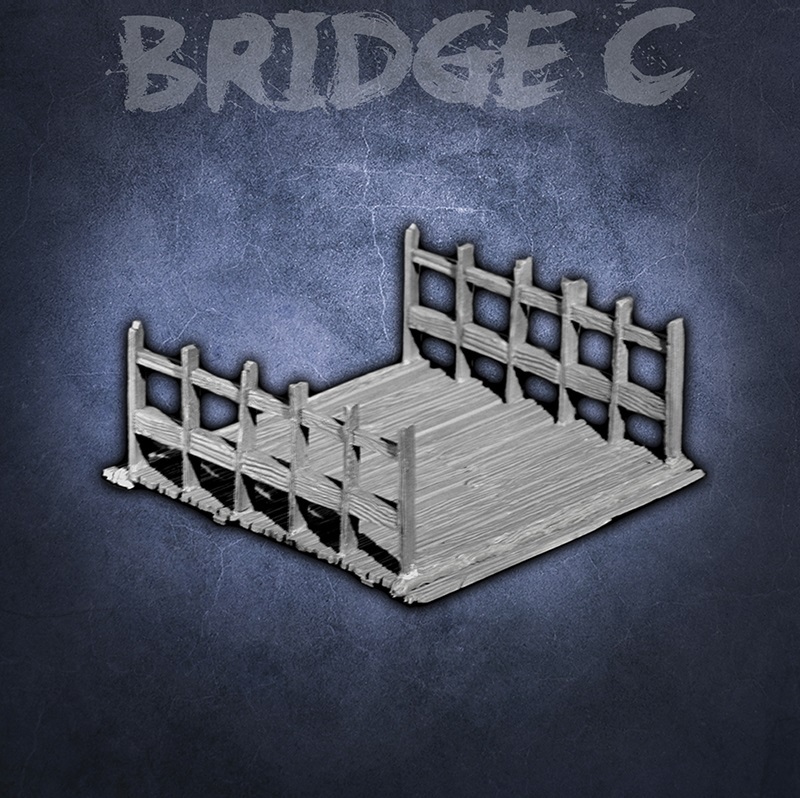 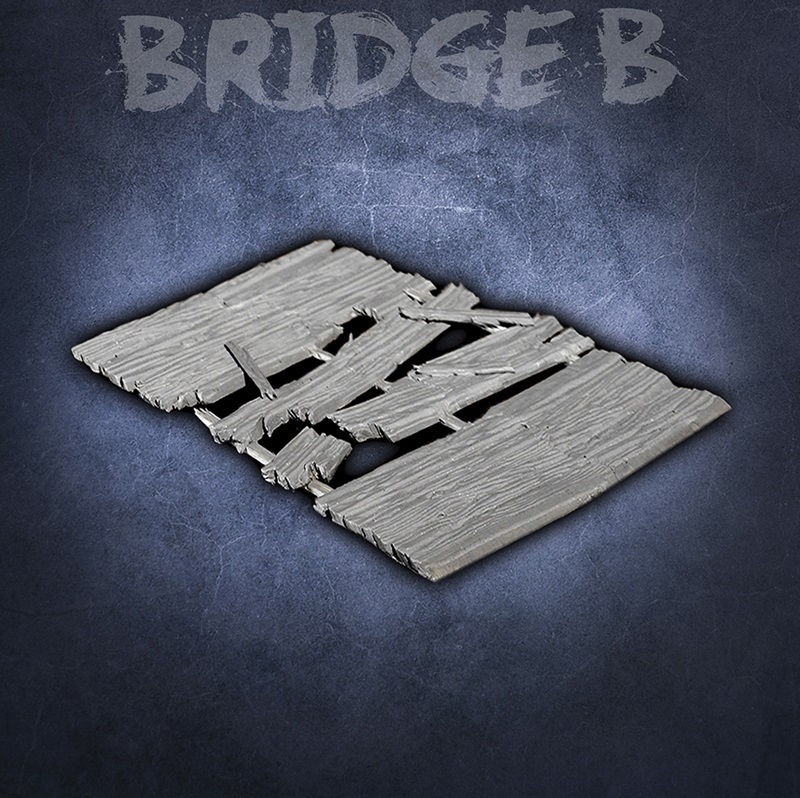 There are different kinds of bridges drawn on the Bridging Tiles which are included in the boxed game, and we have created a model for each one. 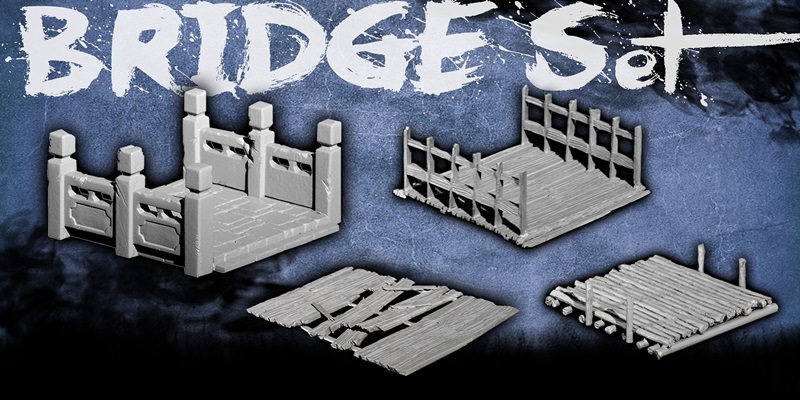 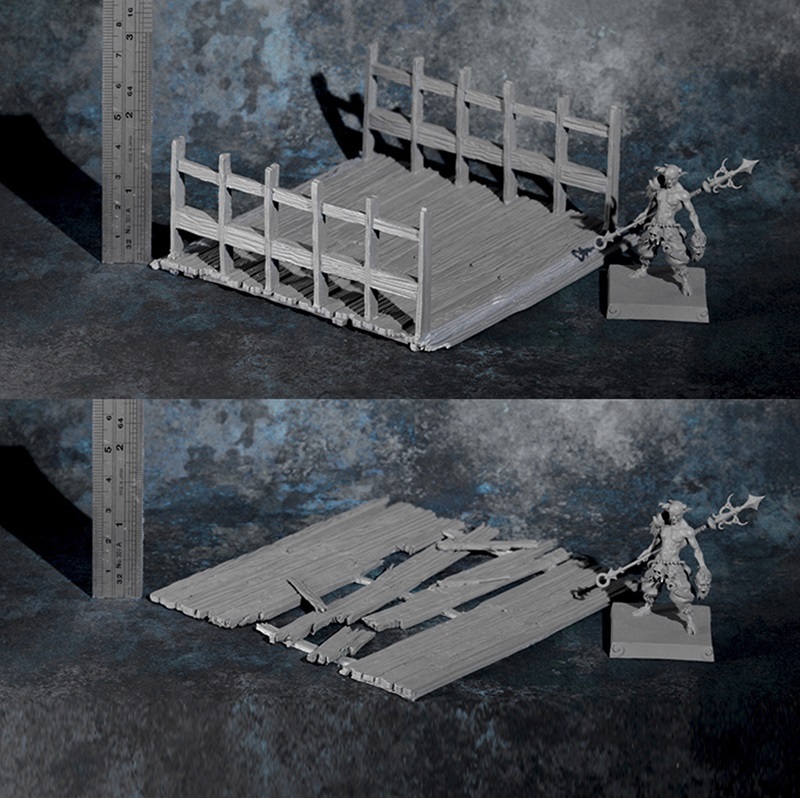 These large bridges bring a 3D feel to the board and the figures can physically interact with them. 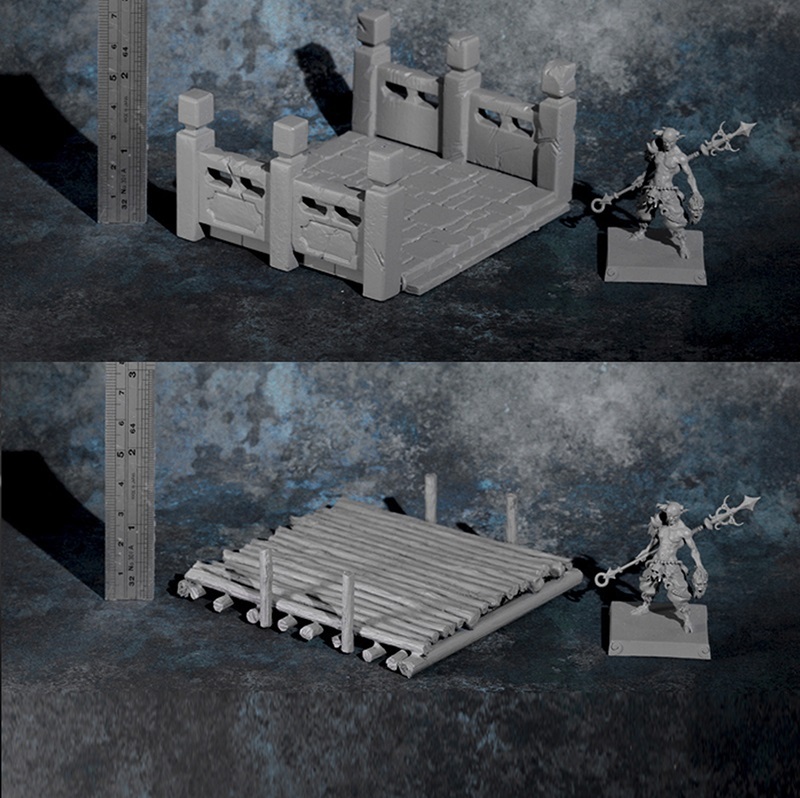 They cover 3x2 or 2x2 board squares but they are slightly larger than that so that there is plenty of room for the minis to stand on the bridges.